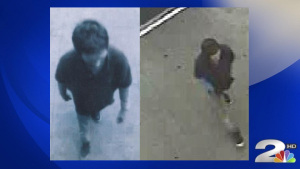 Man hits Wal-Mart employee in West Ashley, steals money from opened register and runs out... | Crime Stoppers of the Lowcountry: 554-1111 | 1-888-CRIME-SC | Anonymous tips earn cash rewards with Crime Stoppers of the Lowcountry. WEST ASHLEY, S.C. (WCBD) — The Charleston Police Department is searching for the person who assaulted an employee at a local business. Authorities say the incident took place at Walmart on West Ashley Circle on Saturday, October 29 at 6 a.m. We’re told the suspect made it appear as if he were going to purchases a bottled drink. As the cashier attempted to check him out, the suspect assaulted the employee and stole money from the opened register, according to a news release. 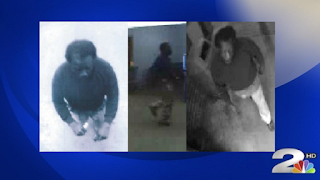 The suspect is described as an African-American man in his late 40’s – 50’s, standing at about 5’5, weighing 160 pounds. The suspect also has a 2” afro with scruffy facial hair. He wore a dark-colored sweatshirt and khaki-colored pants during the incident. The suspect appears to have arrived at the store in a burgundy, older model SUV. Authorities also say a white male arrived in the same vehicle and entered the business seconds before the strong arm suspect. The second suspect stole two packages of steaks and fled the store afterward and left in the vehicle alone. If you have any information about the incident, contact the Charleston Police Department’s Central Investigators at 843-5477-2487 or Crime Stoppers at 843-554-1111.